Steampunkins! 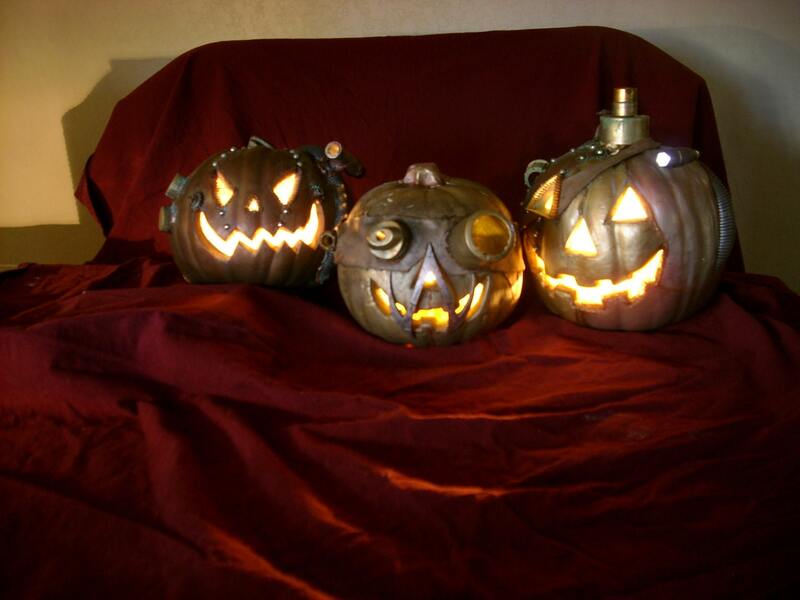 Steampunk Halloween Jack o'Lanterns from Isher Creations on Etsy. 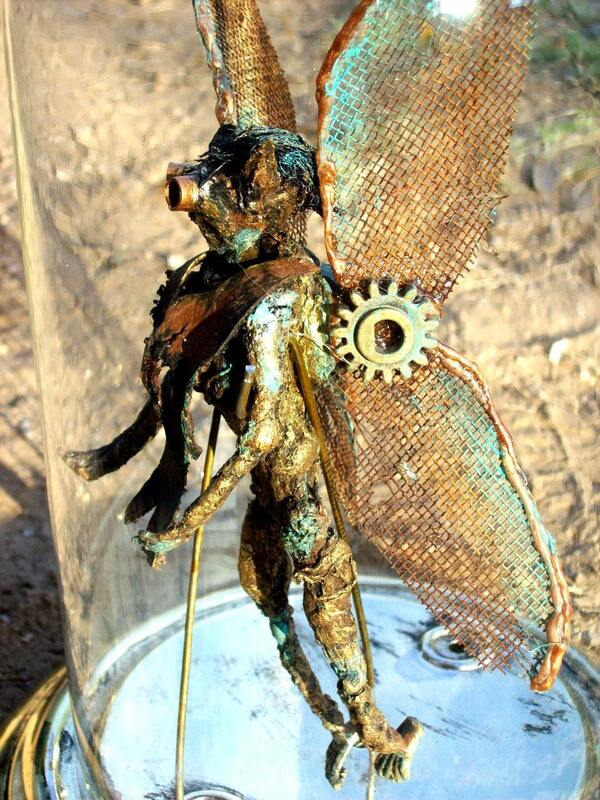 "Steampunk mummified faeries" too. Weird. C'mon - you know it's cool, right? What other Halloween stuff can be steampunked? Tombstones? Zombies? Witches? Well, the black cats of course! Good idea. I'll see if I can strap goggles on my cat. But first, let me get my first aid kit and lots of gauze. I get the feeling that he may be less than cooperative.